License, 2018, 11:50, Color, Stereo Sound Made in collaboration with artist Robert Buck, License modifies a video forensics report by The New York Times that reconstructs the October 2017 mass shooting in Las Vegas, the deadliest in U.S. history. John Cage’s infamous 1952 composition 4’ 33” (Four Minutes and Thirty-three Seconds) was the catalyst for our intervention. 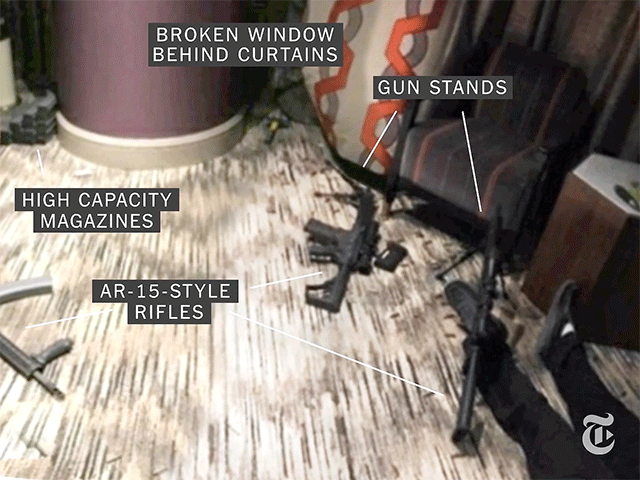 An emerging form of big data journalism, the audio and visual second-by-second account is organized by the shooter’s twelve bursts of gunfire. By erasing the intermittent voiceover that substantiates the timeline, silence punctuates the mayhem––mapped with intel gathered from cellphones, social media posts, police audio and bodycams––and allows the real of the carnage to resonate. Gambling, the gunman’s motive, the increasing body counts, and the structure of the Times report can all be correlated as a “numbers game”. By underscoring this logic, License shows algorithms now occupy the place of the Name-of-the-Father, the guarantor of patriarchal institutions, e.g., law, family, church, state, markets. [forthcoming] Gropius Memory Palace, 2017, 20:17, 4K Video, 5.1 Sound World premiere: St Louis Art Museum; European premiere: International Film festival Rotterdam. A film by artist Ben Thorp Brown. 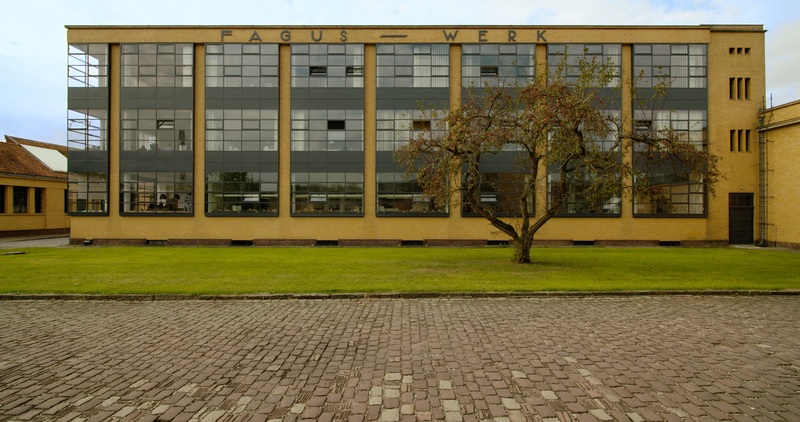 Gropius Memory Palace guides the viewer through the Fagus Factory in Alfeld, Germany, one of the earliest designs of Bauhaus architect Walter Gropius. 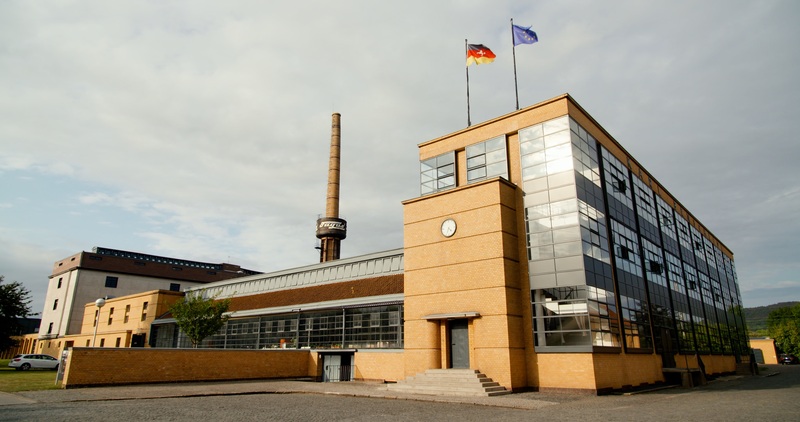 Built in 1911, the Factory continues to produce shoe lasts, a form in the shape of a foot for constructing footwear. Defying economic logic, hand-crafted production is still practiced today alongside automated manufacturing techniques. Brown uses the factory as the backdrop for the examination of shifts in technology and the workplace. Through a narrated meditation, Brown invites viewers to experience the Fagus Factory as a memory palace—an imaginary place in the brain for organizing and storing memories. Brown’s reflective journey through the factory reminds us that the body itself is akin to technology, as our perception is constantly reorganized by modes of production, memory, and history. Soundtracks for Alexander Calder’s mobiles: Eucalyptus (1940), Black Mobile with Hole (1954), Bosquet is the Best Best (1946). Filmed by King & Partners.